With the growing number of multiracial students and transition in leadership in each department this umberalla was created to label the space in which we serve students. Multicultural Student Services IS NOT A DEPARTMENT. 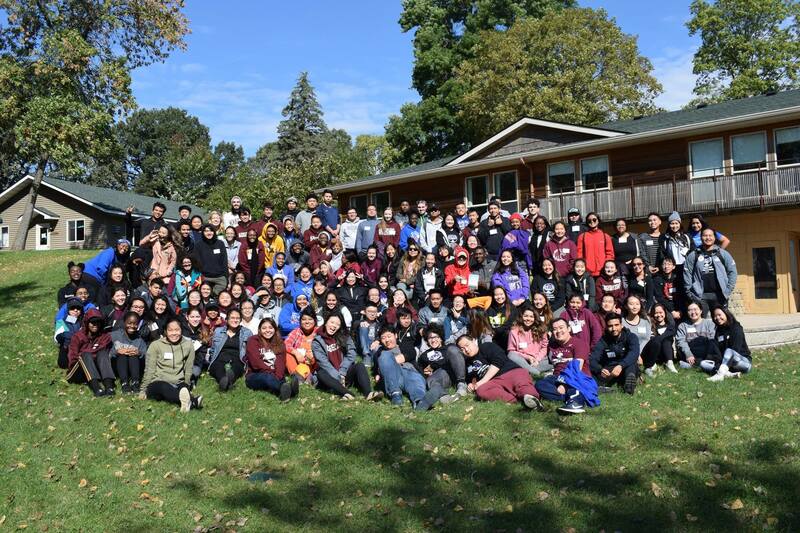 Since the existence of the 4 departments in 1993, the space and departments were known as Ethnic Student Service Directors or Ethnic Directors. In 2013, to be more inclusive to our student and campus partners, Multicultural Student Services was established to connect students, departments and community. MSS is essential the artificial glue of the 4 departments. The four individual programs (American Indian Student Services, Latinx Student Services, Pan-Afrikan Center and Pan-Asian Student Services) are housed together in the basement of the Christensen Center building in Suite 2. The space is shared with Study Away/Abroad (2 staff) and International Student and Scholar Services (ISSS) (3 staff). In 2014 we named the space Oyate’ Commons in recognition of the first inhabitants of this land, the Dakota people. Oyate’ is the Dakota word that translates in english to “the people” or “the nation”. We do this by forming a community of alumni that recognizes, supports, challenges and inspires our Scholars, by providing a network of belonging, asking the really big questions, providing intentional encounters with the “other”, exercising habits of the mind and pursuing worthy dreams (taken from Big Questions Worthy Dreams by Sharon Daloz Parks). 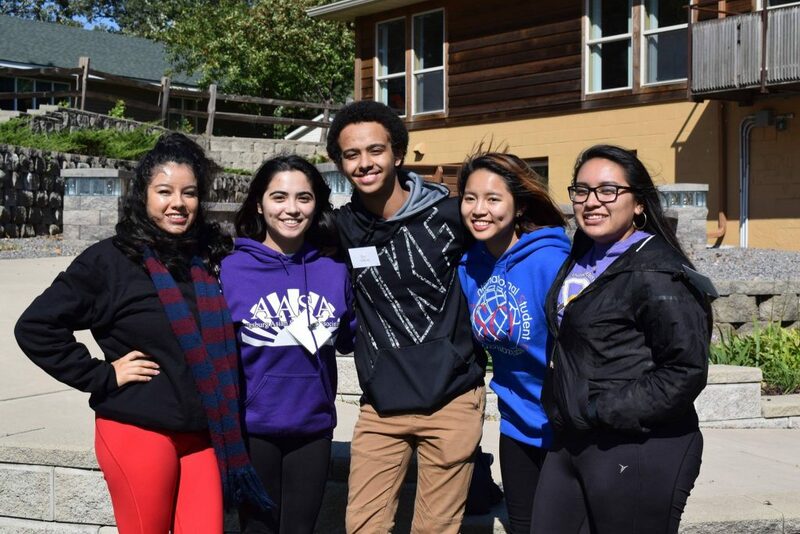 Each year, we take students off campus for the weekend to build community, engage in important discussions, gain leadership tools and have fun! Presidents of the student organizations.